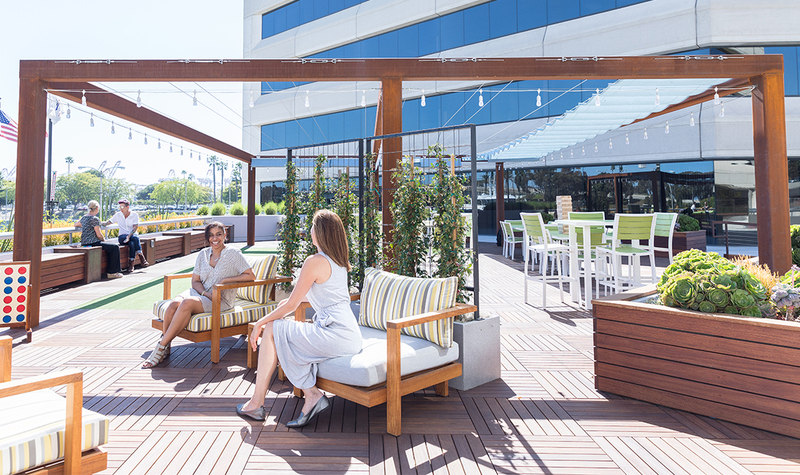 With its downtown Long Beach location, quick freeway access, and shoreline views, the Catalina Landing office campus has a covetable combination of commercial real estate amenities. 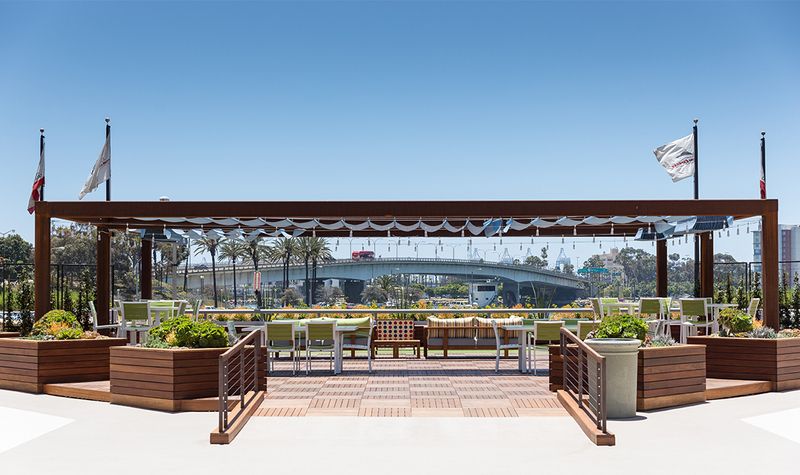 However, the years had taken its toll on the property; built in 1985, the stark concrete and glass property had become overlooked within the booming DTLB commercial market. 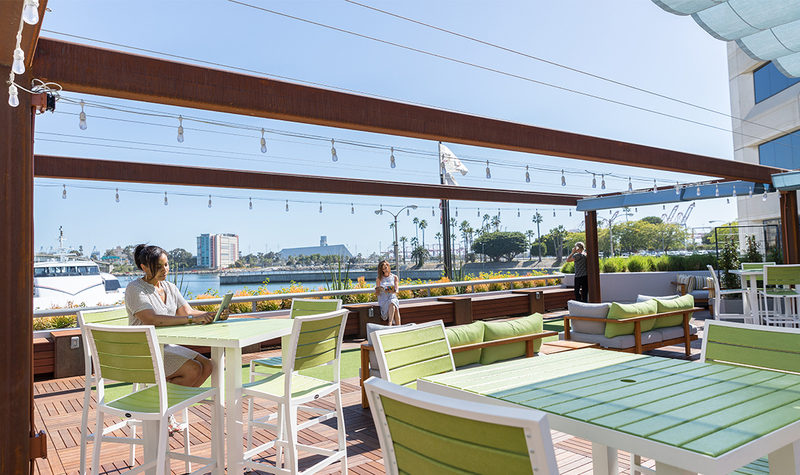 But when ownership changed hands in 2015, plans to refresh the premises became a priority. 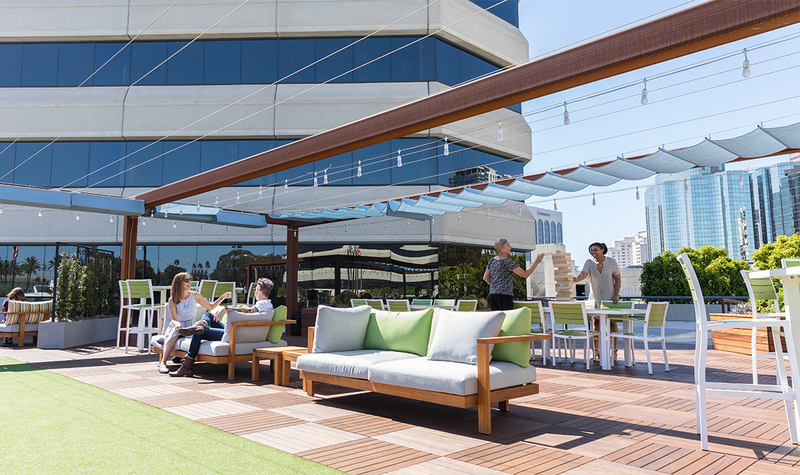 Engaged by new property manager Rising Realty Partners to develop an impactful, highly visible space, Kamus + Keller created a stunning outdoor community space to enhance tenant and visitor engagement, while increasing the property’s real estate profile. 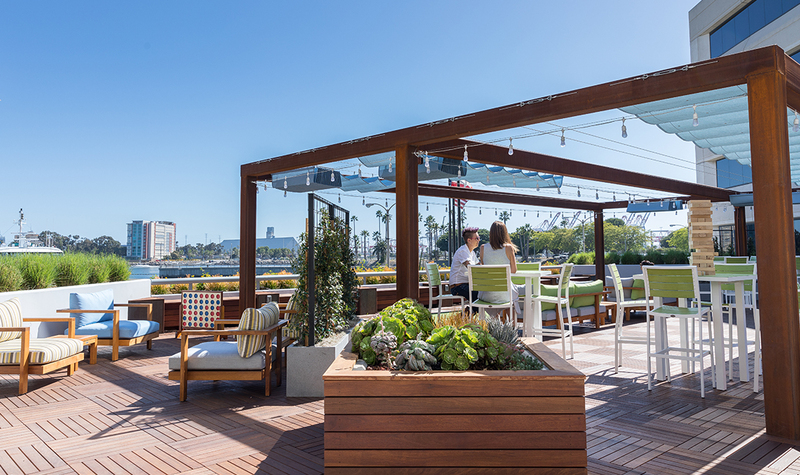 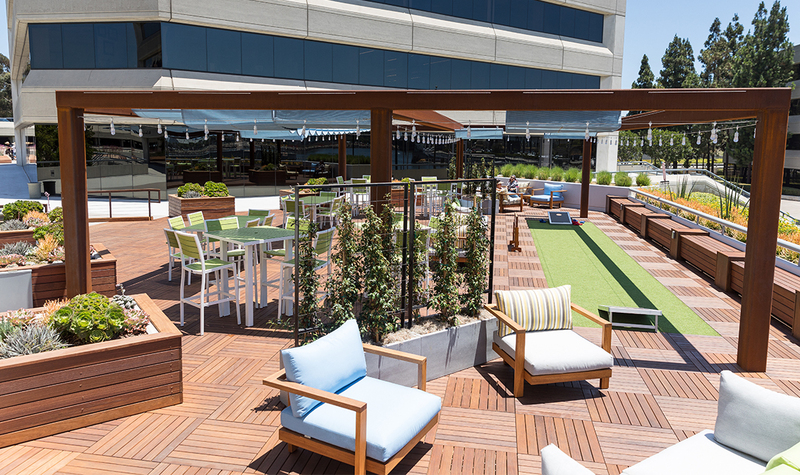 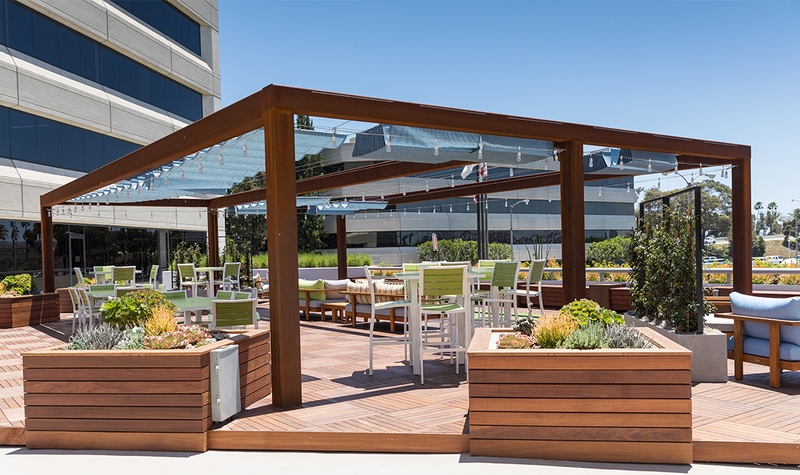 The floating deck is made of gorgeous Cumaru, a sustainable Brazilian wood, and features a bocce ball court, steel beaming with a warm patina finish, retractable canopies, and ample lounge seating.